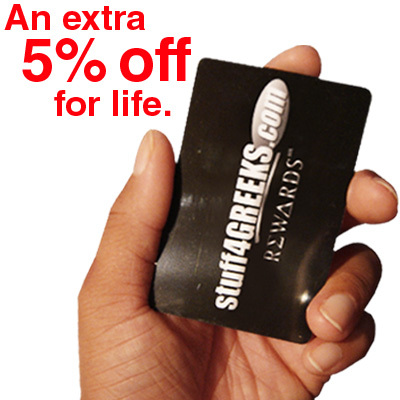 Redeem this to get the highly-coveted S4G Black Card + an extra 5% off all future orders for life. Once you redeem this item, we will issue you a unique code that gives you 5% off of all future online orders! Just enter your Rewards Number as a promo code at checkout and the discount will be applied. You can use your Rewards discount in combination with any other promotions that may be going on at the time. Also - if you do not already have your black card, then we will mail you one when you redeem this item. Note: If you are already a Rewards member and you previously had this service from our old website, you will need use your points to redeem this if you want to keep your 5% discount with the new system.